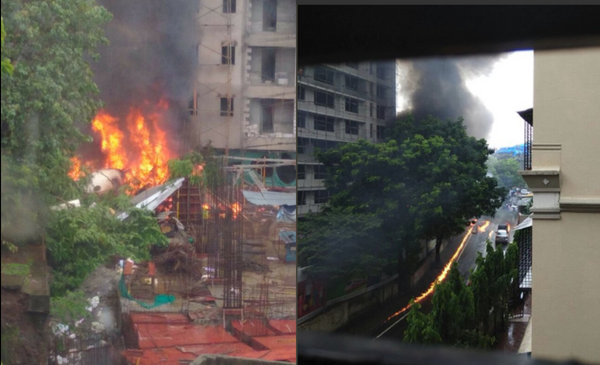 A chartered plane crashed in an open area near an under-construction building in Mumbai’s Ghatkopar area. The crash took place around 1:30 pm in Sarvodaya Nagar in the city’s eastern suburb. 5 people have lost their lives, including two pilots, 2 aircraft maintenance engineers and one pedestrian, according to an official from the Directorate General of Civil Aviation. 1) The 12-seater Beechcraft King Air C-90 aircraft (VT UPZ) is owned by UY Aviation limited, a Mumbai-based private charter company. While there was initially some confusion that the aircraft belongs to the UP government, a state govt official clarified that they had sold the aircraft to UY Aviation. 2) The aircraft is reported to have taken off from Juhu airport for a test flight. There were two pilots and two aircraft maintenance engineers on board. None of them survived the crash. 3) The names of the two pilots are Captain PS Rajput, Captain Marya Zuberi and engineers Surabhi and Manish Pandey. The name of the person who died on the ground is not known yet. 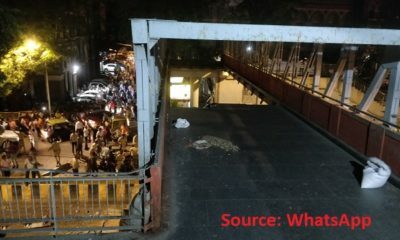 Two persons are injured and are receiving treatment at the nearby Rajawadi government hospital in Ghatkopar. 4) The location where the crash took place is a densely populated residential area and the casualties are said to have been limited by the fact that the plane crash landed in an open area on a construction site. Three fire engines and one jumbo water tanker are present at the location to douse the fire. 5) The black box has been recovered from the aircraft, as per various news reports. A probe has been ordered by the DGCA to find out what could have gone wrong, resulting in the crash.